By directing expanding gas away from bore-line, routing it forward through OSS’s unique Flow-Through coil and deflector design and out the muzzle, sound levels are effectively suppressed at the shooter’s ear, toxic gas blowback and rifle recoil are dramatically reduced, and weapon performance is improved. Video: SEE HOW FLOW-THROUGH WORKS. Modern warriors and weapon systems require a superior suppression solution to outdated baffle designs. 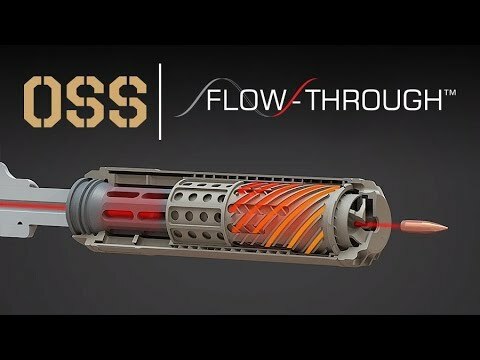 OSS’s patented Flow-Through technology delivers the unmatched performance that meets the weapon and mission requirements of military, SOF, LE and tactical professionals around the world. Proudly built by SOF, Army and Marine Veterans in Millcreek UT.